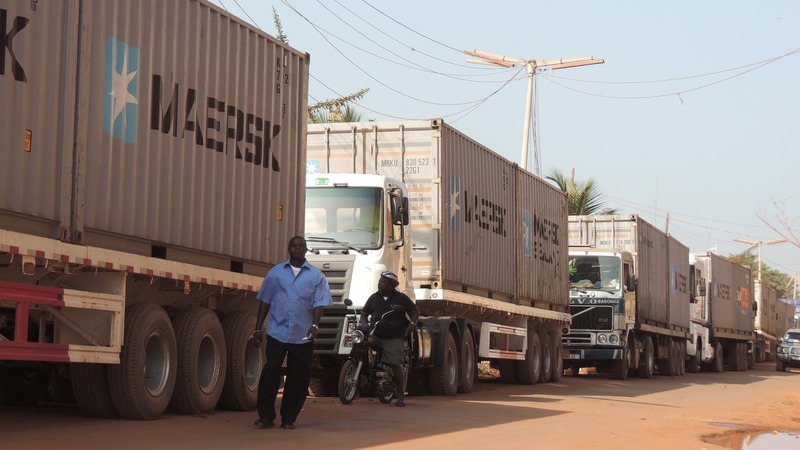 During the March-May cashew nut harvesting season, it is normal to see heavy trucks line Amílcar Cabral Avenue in Bissau, Guinea-Bissau’s capital, waiting to offload their cargo onto ships. But when they line up all year long, suspicion is raised, especially when demand for the country’s cashews has plummeted. 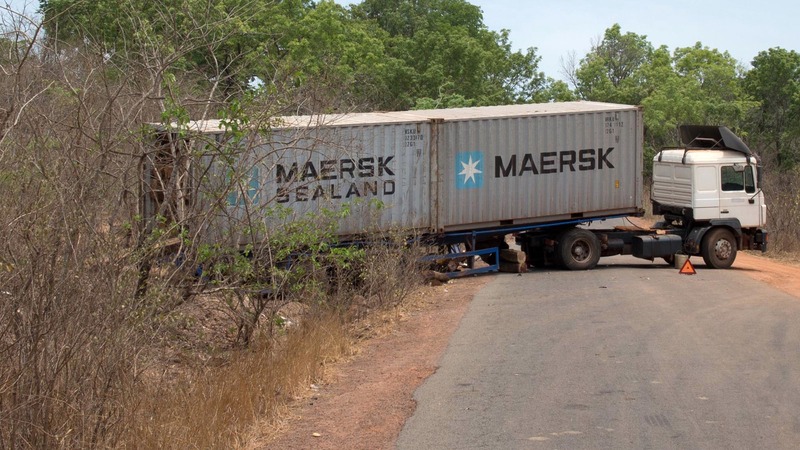 From interior regions of Guinea-Bissau, the trucks openly haul tree trunks, said Constantino Correia, an agro-engineer and former director of the country’s forest management agency. The cargo, mainly African rosewood, is destined for China, according to Abílio Rachid Said of the government Institute of Biodiversity and Protected Areas (IBAP). Environmental activists have been denouncing illegal logging in Guinea-Bissau for some years, but now it may be too late “as we risk not having [the African rosewood] in the coming years,” warned Said. “It is a type of wood in extremely high demand in the Chinese market,” he said. Worth hundreds of thousands of dollars, Bissau-Guinean rosewood is used, among other things, to make Hongmu furniture, red-coloured luxury Chinese furniture replicating the styles of the Qing period. Various reports by the Environmental Investigation Agency (EIA) indicate that China’s craze for rosewood has already driven dramatic increases in illegal logging elsewhere in the world. Following the April 2012 military coup, rule of law almost completely broke down in Guinea-Bissau, heightening corruption and fanning illegal and wanton deforestation. He pointed out that protests by affected local communities worried about the loss of the forests and source of their livelihood have resulted in intimidation and abuse by the National Guard (in charge of internal security) and the military. Guinea-Bissau’s latest crisis also drove up misery for its mainly rural population, as donors froze funds, while the prices of its main export commodity, cashew nuts, plunged due to falling demand. Eighty percent of the country’s 1.6 million people are involved in cashew nut production. The falling prices saw the terms of trade for cashew deteriorate sharply for the local population, with a kilo of rice being exchanged for three kilos of cashew nuts in 2013, up from a 1:1 ratio the previous year, according to an assessment by the World Food Programme in 2013 (the latest available data). To access their forests, loggers may typically pay impoverished communities around $500. Young villagers may be paid as little as $2-6 to cut a tree. The average price per kilo of cashew nuts was about two US cents in 2013, though prices have improved slightly since then to about 50 US cents. While tree felling provides them with quick money, communities are worse off as they are being deprived of their source of survival, experts said. On the other hand a container-load of wood fetches between $6,000-10,000, while the price of a container of rosewood can reach $18,000, sources told IRIN. Rosewood can take almost 50 years to mature. The country’s former anti-corruption chief Lassana Seidi described the illegal logging as “barbarism” epitomizing Guinea-Bissau’s decline. Nearly 70 percent of citizens of the West African country, which has been jolted by repeated coups and instability, live in poverty, according to the World Bank. It appears that the illegal loggers have been able to obtain licences to harvest and export logs without requisite conditions such as setting up sawmills, wood shelters and subjecting themselves to the supervision of the General Directorate of Forests and Wildlife to ensure compliance with regulations, several environmental activists said. “Now, anyone who owns a saw can have a license,” said IBAP’s Said. According to the forestry regulations, only processed timber can be exported. But local newspapers have reported that containers full of unprocessed logs are being shipped out of the country. Recently, citizen pressure group Ação Cidadã, or Citizen Action, said logging concessions were being handed out for wood harvesting in protected areas and in forests held sacred by local communities. In a petition, the group said extensive logging was ongoing under the eyes of the military in Dulombi National Park in western Guinea-Bissau and Lagoas de Cufada National Park near the shores of the Atlantic Ocean. Guinea-Bissau in April elected a new president and government to end the post-coup transition, and hopes to reverse its international isolation and economic decline. Local populations have tried to resist and continue to decry the extensive wood harvesting, but their efforts have had little success or effect due to harassment and repression. “The locals, poor as they are, cannot resist the bribes offered. Sometimes even if they want to resist, they don’t have the strength to do so. Against the military, there is no possible resistance,” said Correia. Rights activist Mané explained that as criticism against illegal logging increases, the Chinese operators, in order to avoid further exposure, have started offering higher prices for the wood at Bissau’s port. “The trafficking chain now involves a lot of nationals,” he said. There are suspicions that the trafficking involves the police, forest guards as well as high-level government and military officials, which makes any form of control or law enforcement very difficult. A source, who requested anonymity, told IRIN that army or police officers turn a blind eye, allowing the logs to reach the port for a US$200 bribe. There may be irreversible losses resulting from the deforestation, warns Said of IBAP, calling for immediate implementation of reforestation plans and suspension of all wood harvesting concessions. Activists and experts agree that above all the law must be enforced. The end of the two-year transition period is bringing hope for a new beginning. The Council of Ministers on 11 July announced a temporary suspension of all timber exports and decided to prioritize cashew exports. Mané noted that the election of a new civilian government was starting to have a deterrent effect on the deforestation. However, not all share the optimism. Much of the illegal logging benefits a few military officials who are unlikely to easily give up huge profits. According to some activists, illegal logging will continue but under more subtle guises.